In May, the American Board of Internal Medicine (ABIM) announced plans to introduce an alternative Maintenance of Certification (MOC) assessment option in 2018. Physicians also can choose to take the long-form exam every 10 years, just as they do now. Since the announcement, we have been engaging hundreds of physicians about our path forward. These productive discussions have taken place all over the country—in our Philadelphia offices, at rural hospitals and at specialty society meetings—and are helping the ABIM Board of Directors and Council refine the new assessment option. In our ongoing conversations, we have heard some questions raised often. Therefore, as we promised to you in May, we wanted to provide additional information as we work with physicians to develop the new option. What will the new assessment option look like and how do I qualify? The new assessment option will be part of the MOC program and will be responsive to physician requests for a simplified way to maintain board certification. 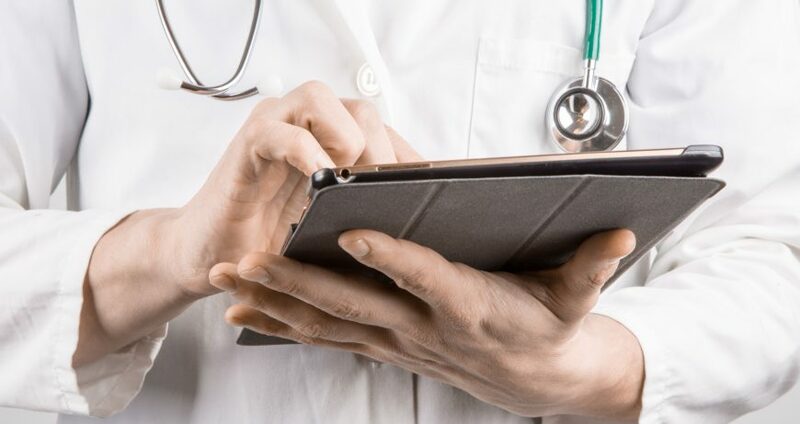 It will enable certified physicians to maintain their certification by taking shorter assessments with more continuous feedback throughout their career on their home or office computers. If a physician meets a performance standard consistently, he or she will not need to take the long-form MOC exam to remain certified. To be able to select the new assessment option when it becomes available, a doctor must be certified. How often will I have to take shorter assessments? We are currently exploring two cycle-time possibilities for the new assessment with physicians: a once-every-2-year cycle or a once-every-5-year cycle. These two options are starting points for continuing discussions and may change based on physician input and operational considerations. ABIM will announce more details about how the new assessment cycles might work soon. What happens if I don’t do well on the shorter assessments? The shorter assessments will provide physicians with feedback on whether they meet a performance standard as well as help them identify gaps in medical knowledge. We expect the vast majority of physicians will meet this standard. If a physician does not meet a performance standard on two consecutive shorter assessments, he or she will need to take a long-form MOC exam at a testing center. If successful on the long-form MOC exam, the physician will again be able to take the shorter assessments. If a physician is not successful on subsequent attempts of the long-form exam during the next exam cycle, he or she will lose certification. What happens if I am due to take an MOC exam before the new assessment option becomes available? Physicians with certifications that have expired or will expire prior to the new assessment being available will need to pass the current MOC exam in order to maintain their certification; only certified physicians will be eligible for the new assessment option. Physician feedback on MOC assessment content has helped—and will continue to help—ABIM update exams to be more reflective of practice today. We are working diligently to design the new assessment option with physicians and are focused on operationalizing this by 2018. Until that time, the current MOC program and physician-determined standards remain in place and are valid indicators about who is staying current in a rapidly changing medical field, indicators on which many inside and outside the profession rely on to tell them something important about their doctor. Are there any results from the Open Book Research Study yet? The study is ongoing and data collection will conclude in early September. More than 900 physicians are slated to participate, so it will take time to analyze the results. Informed by those data, ABIM plans to announce whether and how open book assessment will become part of the program later this year. How do I provide more input about the new assessment option? Your insights and ideas remain essential and are helping us update MOC to better fit your needs. I welcome you to continue to email me about the new MOC assessment option and potential models. In addition, ABIM is planning to survey physicians later this summer. 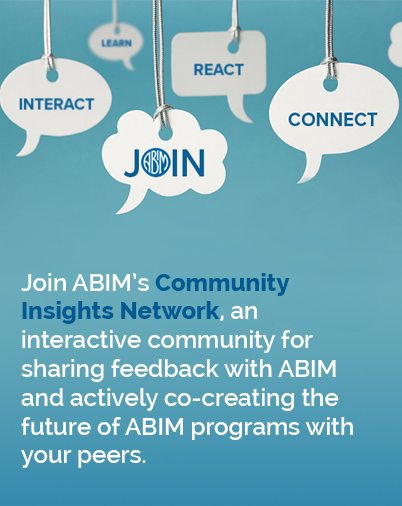 Survey results and input from conversations with physicians and societies through the fall will be presented to the ABIM Council in November, and ABIM expects to provide more specific details about the new assessment option—which thousands can take pride in developing—later this year.